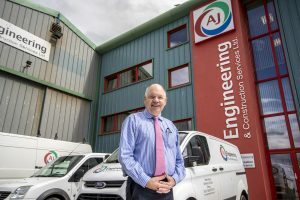 AJ Engineering & Construction Services Ltd was established in 1999 and has developed a reputation as one of the region’s foremost steel fabrication, steel erection and cladding specialists. Whatever the project, we aim to provide on-time and on-budget delivery of high quality products and services. We provide services to major contractors including Balfour Beatty, Forth Road Bridge Constructors, BAM Nuttall, Corrie Construction, Robertson Construction as well as directly to clients such as NHS Highland, Diageo, and Historic Scotland. We are an ISO 9001 and OHSAS 18001 accredited company offering a premier service to our customers both new and old. Our CNC precision machining workshop services the requirements of many companies most latterly in the Oil & Gas Sector but are recently diversifying across a wide spectrum of businesses requiring precision built parts. Our combined skills allow us to produce products from a ‘bolt to a building’. 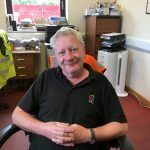 Alan started his career in 1970 as an apprentice fabricator welder working at the Forres based company William Reid Engineering. He then progressed into the drawing office and then became involved in project management. 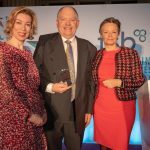 He was promoted to Projects Director and for six years he was responsible for a diverse range of projects including work in London at Paddington Station and Canary Wharf. During his time with William Reid he attained an HNC in Mech. Engineering and an MSc in Project Management. 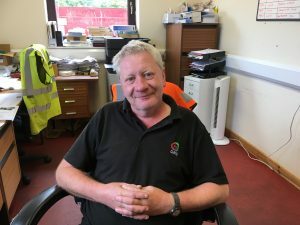 In 1999 Alan set up AJ Engineering & Construction Services Ltd, with one other workshop based employee and a rented building on the Greshop Industrial Estate, Forres. The company bought an adjacent site in 2002 and built the fabrication workshop where the company now based. Alan is married to Ainsley who is a teacher and they live in Forres. His daughter Erin and son Robin are both pursuing their own careers in HRM and digital broadcasting. 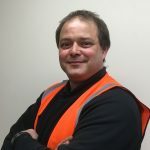 Graham has worked with some of the country’s largest civil engineering and building companies including Balfour Beatty and Galliford Try. 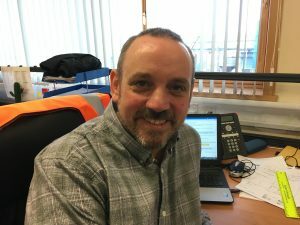 Having managed the delivery of varied contracts across the UK, he decided to pursue an opportunity closer to home and joined Scottish Water Solutions as a Senior Project Manager to deliver their major investment programme. Following the completion of this, and other water related projects Graham worked for KBR in Australia managing water related projects there. 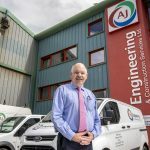 In early 2014 the opportunity to become General Manager for AJ Engineering drew Graham back to Forres where he has been ensuring AJ Engineering is ready to take on whatever the future brings! 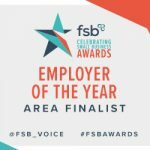 Wilson is a time served Engineer having been an apprentice with Michelin Tyres in Dundee and Aberdeen before going on to become an engineering shift Foreman during my 11 years with them. 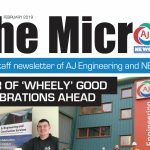 Wilson left Michelin to take up a new challenge in the water industry first working for Scottish Water as a Senior Technician Engineer before joining Galliford Try providing capital project services to Scottish Water. 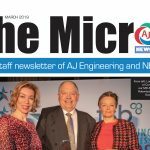 Wilson was an Engineering Manager for 3 years responsible for a number of mechanical and electrical projects, including the new Aviemore Waste Water Treatment works, at a value of over £4 million. Wilson was later seconded into Scottish Water Solutions as a Project Manager, during that time delivering a number of projects in the Western Isles with a total value of over £20 Million before returning once more to Aviemore to deliver the new 6.5 Mega litre Water Treatment Works. Wilson has broad experience in project management of capital and maintenance projects on process type plants. 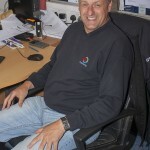 Jim has been with AJ Engineering for 10 years. Through this period Jim’s time has been spent more on estimating and less in project management, although he continues to manage a smaller portfolio of projects. Prior to AJ Engineering Jim worked for other structural steel fabrication companies in project management and engineering roles. Jim started his career in architectural design and drafting, this combined with his engineering and project management experience, enables Jim to produce efficient, value engineered proposal layouts from customer briefs. The varied scope and busy work load ensures there’s never a dull moment! 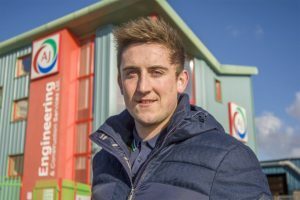 Matt started his career as an apprentice at William Reids Engineering Ltd. He then worked with Enstone and Leiths on quarries around Scotland being promoted to role of Quarry Manager. This experience provided Matt with a good understanding of process equipment and the requirements for installation and maintenance of such plants. 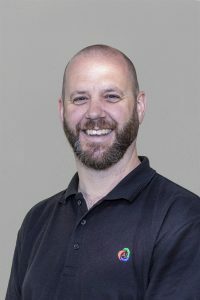 Matt has been with AJ Engineering for 14 years and is responsible for the day to day running of the workshop and the engineering operatives. He is project manager for clients who require reactive maintenance undertaken or co-ordinating activities during shut down periods. 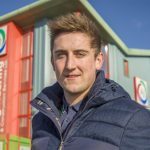 As well as process plants, Matt also manages the works AJ Engineering undertake on the rail network as well as viaducts. Matt is also the Responsible Welding co-ordinator for AJ Engineering as well as a crane appointed person. 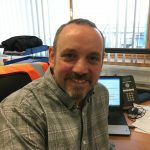 Allan started with AJ Engineering as a Project Manager in September 2017 and is putting his 26 Years’ experience with engineering fabrication to good use. 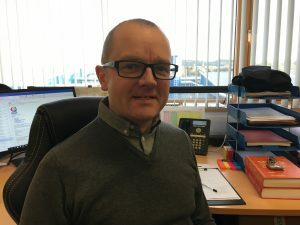 A time served draftsman with William Reid Engineering set him on the path to working as a project manager gaining a BSc in Mechanical Engineering and Prince 2 Practitioner Project Managing Qualifications along the way. 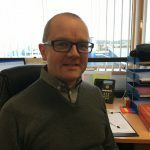 Allan has worked on many projects during his career in the distillery, marine, and water treatment sectors and said: "I am enjoying the varied work that AJE does using the skills and experience gained to deal with new opportunities in a very well established and professional firm." 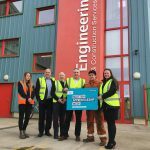 On leaving school, William completed a four year apprenticeship with a local engineering company in his home village of Kingussie. After a few years, he and his wife moved to Aberdeen where they both worked for several oil service companies for 10 years. 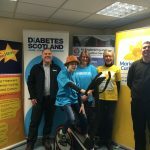 After a chance meeting with an old school friend, William moved back to Forres and set up Firscot in Newtonmore with his business partner Burgess. 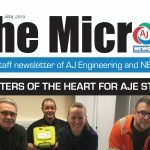 The company ran successfully for around 10 years until in 2009 AJ Engineering bought a controlling stake and the business relocated to a new purpose-built facility in Forres, still operating as an independent company. Eventually Firscot was taken in to the AJE family completely in 2016 and William remained as the workshop manager. 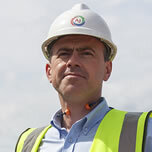 James has 20 years of experience in the civils construction industry. He joined AJE in November 2018. he He lives in Forres, and has two sons. In his spare time he enjoys running, walking and cycling. In June 2018, he visited 17 European countries with his partner in a (very) small camper-van. 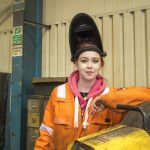 Malcolm started out as an apprentice fabricator/welder employed back then by AJE MD Alan James at William Reid Engineering. His experience there gave him a great foundation for general engineering and an insight into the distilling and brewing industries. He then spent some time at the former fabrication yard at Ardersier where his skills to assist in the oil industry were fine tuned. Following this and a stint off-shore, Malcolm spent a year in Queensland, Australia working in the mining industry. 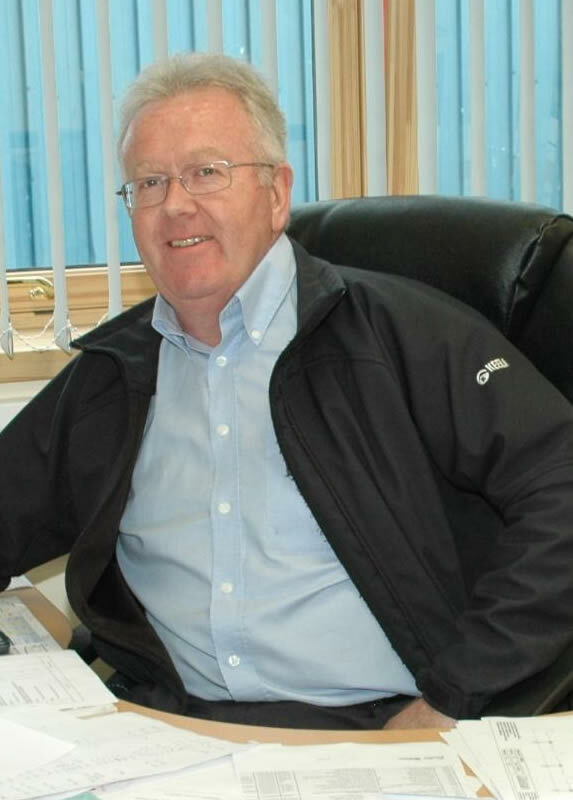 On his return in 2000, Malcolm set up Rennie Fabrication which secured work in many sectors including aquaculture, distilling, oil and gas, construction and renewables. 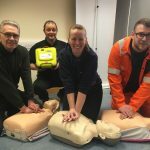 After a short stint in the retail sector which included working for Selfridges in Oxford Street, London, Simon returned north and spent 14 years in the onshore oil industry. Experience for McDermott and Barmac gave Simon and insight into the heavy steel industry. 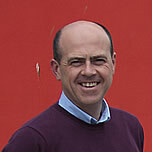 Facing redundancy in the late 90s, Simon was offered to start with AJ Engineering from the date of the company’s launch. 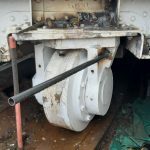 Being a young company, all staff were involved in all aspects of the business including, welding, grinding, railway works etc. 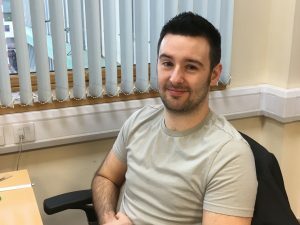 Simon’s role now supports the numerous projects the company works on and ensures that everything that is required for each project is in place. This can include raw materials being delivered to the premises, to completed project deliveries. 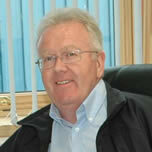 He oversees the running of the stores, manages transport requirements and keeps the workshops and buildings maintained. 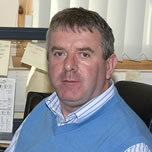 Pat’s thirty year career in the steel industry started in 1980 as a trainee draftsman in Ireland. In search of new challenges he worked for a period as a draftsman in Wales and America. 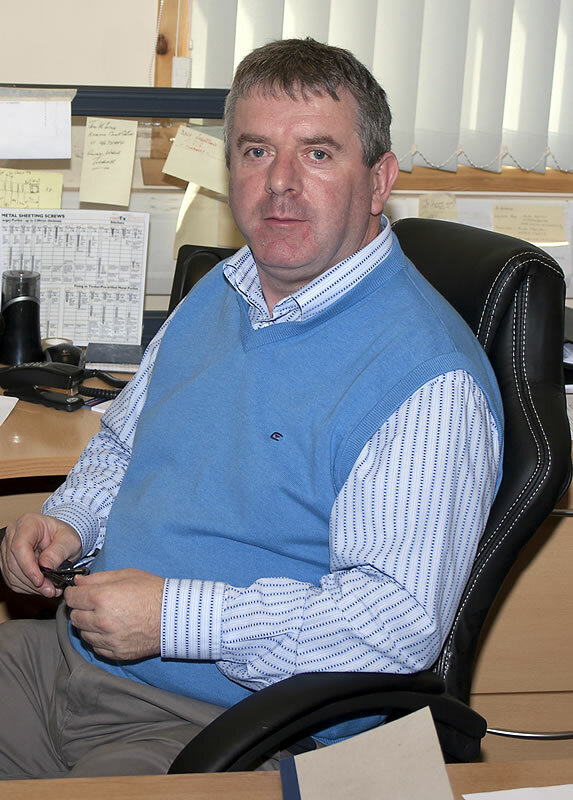 In 1995 he returned to Ireland to a Drawing Office Manager position, where his role quickly progressed to Contracts Manager. 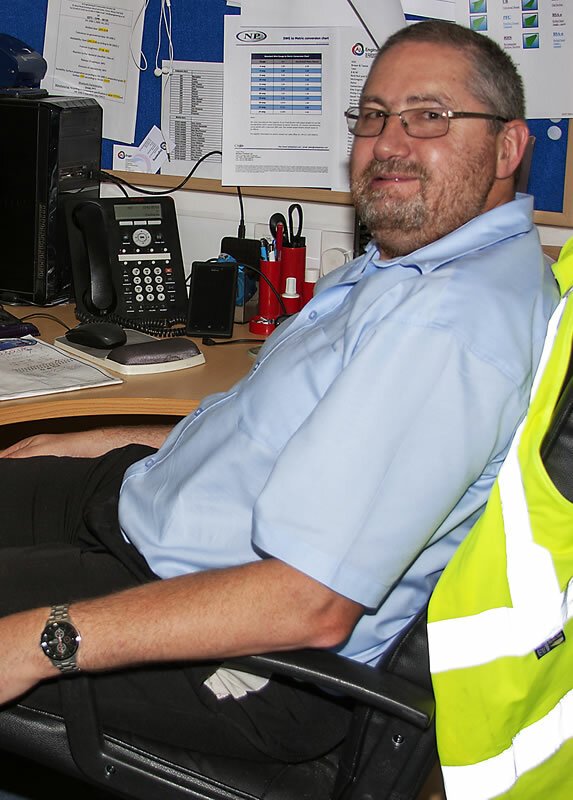 In 2012 Pat became Drawing Office Manager and Operations Manager with AJ Engineering. 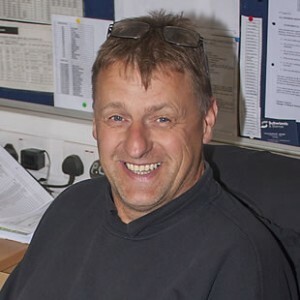 Pat revels in the challenges that the varied projects bring and has settled well in the north of Scotland enjoying the many golf courses. Jazmin started her career in quality management at a private water supplies company where she implemented an integrated Business Management System incorporating Health, Safety, Environment and Quality. Here she gained her qualifications in ISO Internal Auditing and IOSH Managing Safety. 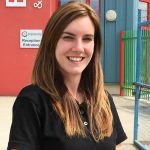 Prior to this Jazmin worked for a financial services company for 6 years where she gained qualifications in Mortgage and Insurance Advice. 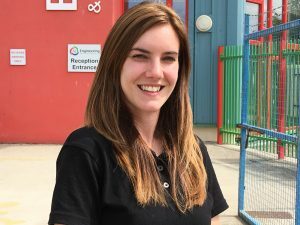 Jazmin’s role at AJ Engineering has allowed her to expand her skills and further her career development. Since working at AJE, Jazmin has achieved ISO 9001:2015 Lead Auditor Certification and has assisted the company in their transition to ISO 9001:2015. 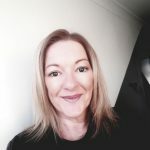 After having served in the Royal Air Force, Liz was employed in various accounting contracts for both national and international companies such as Atmel Corporation, Michelin Tyre plc and SSE. 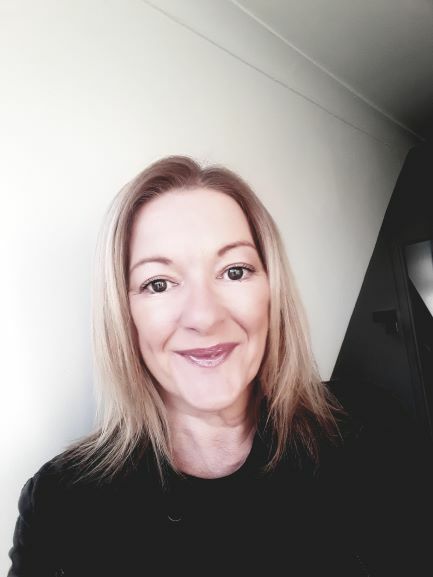 Having spent many years living and working in the South of France she added to her financial qualifications and completed a degree in French through the Open University, further enhancing her skills gained over her 26 years of working within management accounting roles. Having returned to the NE of Scotland in 2017 she embraced the role of Accounts Manager with A J Engineering and enjoys the various challenges it brings. 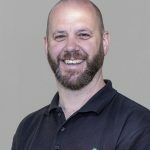 Expanding business opportunities with existing clients and new leads is handled by Lee Binks who joined the company in 2018. 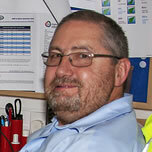 Lee joined the company from MacKellar Sub-sea. 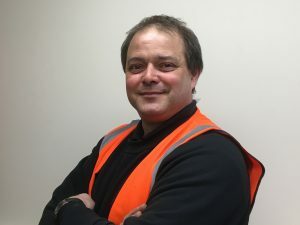 Lee’s role involves liaising with new and existing clients and finding out what projects are in the pipeline that AJ Engineering can get involved with. He has experience in the oil and gas, renewable and nuclear sectors. 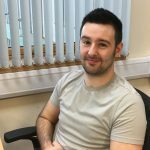 Iain joined AJ Engineering in October 2018 from Metalwork UK. He had worked for Metalwork UK for ten years and was responsible for estimating, buying, organising transport and arranging plant for sites. Iain came to AJE after moving to Inverness. He is responsible for pricing works for existing and potential new clients. In his spare time he enjoys playing indoor football and lifting weights.